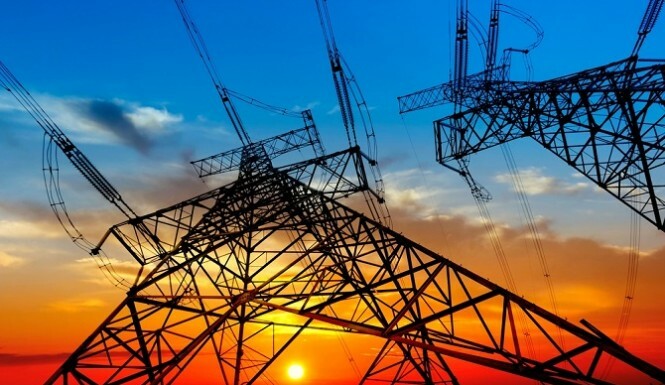 - Why Does The MSM Continue To Downplay The Very Real EMP Threat To America? Popular Mechanics.com published an article by Kyle Mizokami "No, North Korea Can't Kill 90 Percent of Americans" (March 31, 2017) accusing former CIA Director R. James Woolsey and myself of grossly exaggerating the threat posed by an electromagnetic pulse (EMP) attack from North Korea in our recent article ("How North Korea Could Kill Up To 90 Percent Of Americans" The Hill, March 29, 2017). In fact, Mizokami has lied to your readers, and misrepresented the information provided to him by The Hill (from myself as Chief of Staff of the Congressional EMP Commission), that up to 90 percent of the American people could die from an EMP attack that causes a nationwide blackout lasting one year. Mizokami falsely claims that the assessment a nuclear EMP attack could kill 9 of 10 Americans through starvation and societal collapse is derived from the novel "One Second After" which is referred to by Congressman Roscoe Bartlett, quoted by Mizokami in his article, during a congressional hearing on EMP. However, Bartlett's statement that 90 percent of the American people could die is not derived from "One Second After" but from the EMP Commission that briefed him prior to the hearing. DR. GRAHAM: We think that is in the correct range. We don't have experience with losing the infrastructure in a country with 300 million people, most of whom don't live in a way that provides for their own food and other needs. We can go back to an era when people did live like that. That would be--10 percent would be 30 million people, and that is probably the range where we could survive in a basically rural economy. --"Threat Posed By Electromagnetic Pulse (EMP) Attack" Hearing, House Armed Services Committee, July 10, 2008. Mizokami has engaged in a classical case of dishonest "cherry picking" to distort and misrepresent the congressional record, ignoring Chairman Graham's testimony that affirms 9 of 10 Americans could die. Mizokami ignores other copious congressional testimony from the EMP Commission, as well as published articles and books, affirming that the EMP Commission assesses a nuclear EMP attack could kill up to 90 percent of the U.S. population, examples of which were provided to Mizokami. For example, in another congressional hearing, EMP Commissioner Dr. Lowell Wood again affirms that 90 percent of the U.S. population could die, that an EMP attack "...would literally destroy the American nation and might cause the deaths of 90 percent of its people and would set us back a century or more in time as far as our ability to function as a nation." DR. WOOD: One of the means that might concern us at the present time is a Taepo Dong-2 missile carrying an advanced nuclear warhead from North Korea...North Korea should not be considered as just potentially possessing first generation nuclear weapons, but potentially the most advanced nuclear weapons that exist on the planet because they have received a great deal of foreign assistance. So when we stop to think about being attacked from North Korea, we shouldn't think about Hiroshima and Nagasaki. We should think about flavors of destruction that have never been seen before on this planet.-"Terrorism and the EMP Threat to Homeland Security" Hearing, Subcommittee on Terrorism, Technology, and Homeland Security, March 8, 2005. 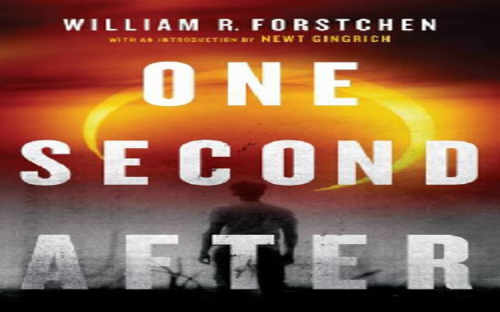 Contrary to Mizokami, the EMP Commission has been warning since at least 2001 that millions of Americans could die from a nuclear EMP attack that collapses the electric grid and other life-sustaining critical infrastructures, whereas Bill Forstchen's novel "One Second After" was not published until 2009. Mizokami repeats the myth, widespread among EMP non-experts, that a high-yield nuclear weapon is necessary to make an EMP attack. This myth is partially derived from erroneous interpretation of my work at CIA during the Cold War, subsequently reported in an open congressional hearing, that found the USSR planned to EMP attack U.S. strategic forces with their most powerful nuclear weapon-the SS-18 Mod 1 ICBM that carried a single 25-megaton warhead. However, the Soviets were chiefly interested in using their big warhead to maximize field strengths and make a disarming EMP attack against U.S. strategic forces and C3I-that are hardened to survive some levels of EMP. A high-yield warhead is not necessary to collapse the U.S. electric grid and other life-sustaining critical infrastructures-that are unprotected and have never been hardened to survive EMP. While it is true that nuclear weapons of normal design will produce stronger EMP fields than lower-yield nuclear weapons (of normal design), even a 10 KT Hiroshima-type bomb will generate powerful EMP fields capable of ending civilization as we know it. 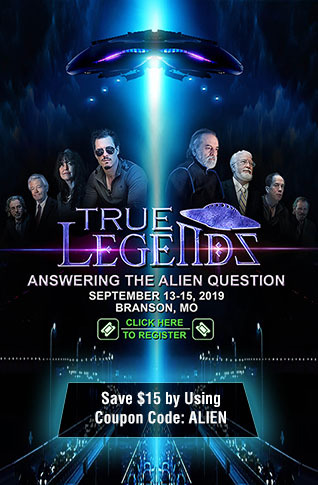 If such a weapon were detonated at high-altitude over the eastern half of the U.S., the EMP would likely cause protracted blackout of the Eastern Grid, that generates 75 percent of the nation's electricity and supports most of the population. The U.S. cannot survive without the Eastern Grid. The biggest EMP threat is from Super-EMP weapons, nuclear warheads of special design to produce gamma rays, not a big explosion. Gamma rays generate the high-frequency EMP effect. Super-EMP weapons have very low yields, and can be as low as 1-5 kilotons, just like most of North Korea's nuclear tests. In 2004, a delegation of Russian EMP experts told the Commission that the design for Russia's Super-EMP weapon leaked to North Korea, and that due to "brain drain" Russian and Chinese nuclear weapon and missile engineers were working in North Korea. In 2004, the Russian EMP experts predicted North Korea could test a Super-EMP nuclear weapon "in a few years." In 2006, North Korea tested its first nuclear weapon, with a yield of 1-3 kilotons-consistent with the design of a Super-EMP warhead. In 2009, South Korean military intelligence reportedly concluded, independently of the EMP Commission, that Russian scientists are in North Korea helping develop a Super-EMP nuclear weapon. In 2012, a military commentator for the People's Republic of China stated that North Korea has Super-EMP nuclear weapons. The EMP Commission assesses that North Korea probably has "the Super." Mizokami misinterprets EMP Commission data on the vulnerability of automobiles as meaning that an EMP attack would not paralyze transportation. While many automobiles might survive an EMP attack, if fewer than 1 percent are inoperable, massive traffic jams will result, especially in urban areas. And cars cannot run without gas, which cannot be supplied without electricity. Real world experience indicates a nuclear EMP attack could cause massive, widespread paralysis of automobiles and the transportation network. North Korea used a non-nuclear EMP weapon (Radio-Frequency Weapon, RFW), purchased from Russia, to attack airliners and impose an "electromagnetic blockade" on air traffic to Seoul, South Korea's capitol. The repeated attacks by RFW also caused widespread disruption of communications and the operation of automobiles in several South Korean cities in December 2010; March 9, 2011; and April-May 2012. Nuclear EMP fields are much larger and more powerful than those generated by an RFW. The Congressional EMP Commission was re-established in 2015, and continues to assess that a nuclear EMP attack from North Korea or other actors could blackout the national electric grid and other critical infrastructures for over a year, perhaps permanently, since it is highly unlikely the grid could be restored if most of the population perishes. Unfortunately, this scenario is all too likely, given the current state of unpreparedness. 320 million people cannot survive a year-long blackout that immediately stops the supply of water, that will exhaust the national food stockpile in 30 days, and paralyze the technologies necessary to our critical infrastructures that make it possible to sustain such a large population. Mizokami falsely accuses Ambassador Woolsey and myself of betraying the public interest by grossly exaggerating the EMP threat. It is Mizokami himself who has misrepresented the facts in his "fake news" article, lied to the public about the real threat they face from EMP and the urgency of protecting the critical infrastructures. Mizokami is a freelance writer with no expertise on EMP. His dishonest reporting on the nuclear EMP threat from North Korea-and the decision by Popular Mechanics to publish Mizokami's disinformation-exemplifies why most Americans don't trust journalists and hold the press in contempt. Ambassador Woolsey and I demand an apology from Popular Mechanics and public acknowledgment that Mizokami's article misrepresents the record. Dr. Peter Vincent Pry is the Executive Director of the Task Force on National and Homeland Security and Director of the U.S. Nuclear Strategy Forum, both Congressional Advisory Boards, and served on the Congressional EMP Commission, the Congressional Strategic Posture Commission, the House Armed Services Committee, and the CIA. 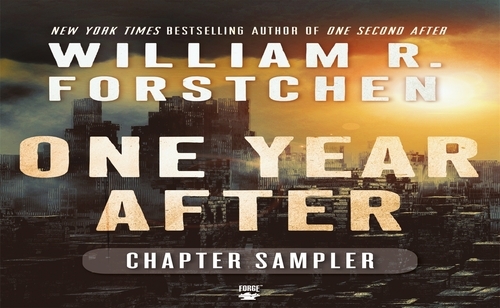 He is author of Apocalypse Unknown: The Struggle To Protect America From An Electromagnetic Pulse Catastrophe and Electric Armageddon, available on Amazon.com. More of his stories can be found here.